Good Monday morning! 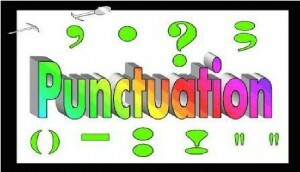 I thought today I would just mention a “mark” that is often misunderstood and misused: the ellipsis mark. There are several instances where we can and should use this mark, but way too many folks use it here and there with no apparent thought or knowledge of how to do it. 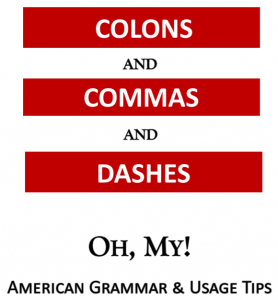 First of all, ellipsis marks are THREE (not two) spaced periods, with a space in front of them and one behind them. Yeah. Really. I have checked several style guides, and so far anyway they all say there are supposed to be three spaced periods. Will that change? Probably. Everything does. But for now . . . I don’t know . . . I’m not sure of that. He felt uneasy . . . but he wasn’t going to let that stop him! 2. We can show a sentence that trails off, that doesn’t really end. I’m really going to have to think about that . . . Mom said yes, but . . .
3. We can show words left out of a quoted sentence. During that last month, while I was working with her, I had a few doubts. Here’s my best advice: Avoid using ellipsis marks for the most part. They rarely look professional, and many readers have NO idea why you’re using them. If you have any questions about this mark, please ask! I’m keeping it simple here because although there are a few more ways to use the ellipsis mark, we don’t need to know them for business writing. I think if we can learn just these three above, we’ll be far ahead of the game.